Explore this region's history and natural wonders on a variety of hiking trails, from urban and paved to remote and strenuous. North Carolina's central region is home to our state's biggest cities and plenty of hustle and bustle. But beyond the interstates and business parks, you can explore this area's history and natural wonders on a variety of hiking trails, from urban and paved to remote and strenuous. The American Tobacco Trail winds along more than 22 miles of abandoned railroad bed that once funneled the crop from farmlands to the American Tobacco Company plants in Durham. The existing railroad bed has been converted into a multiuse trail that starts near the Durham Bulls Athletic Park in the north and ends in the southern reaches of Wake County, passing Jordan Lake along the way. Heading south from downtown Durham, almost 8 miles of paved trail is handicap accessible and open to inline skating, bicycling, running or walking. Crushed stone sections in Wake and southern Durham counties allow horseback riding too. Parking lots and restrooms are available on several sections of the trail. About an hour or so west of Charlotte, you can hike more than 20 miles of trails that pass sheer cliffs and sheer rock at Crowders Mountain State Park. The 6-mile Ridgeline Trail takes you to the state line then on to the Kings Mountain National Recreation Trail. The other trails, some of which are rated strenuous, take you to the summit of both Kings Pinnacle and Crowders Mountain. If you’re a flatlander, try the easy 0.8-mile Lake Trail. 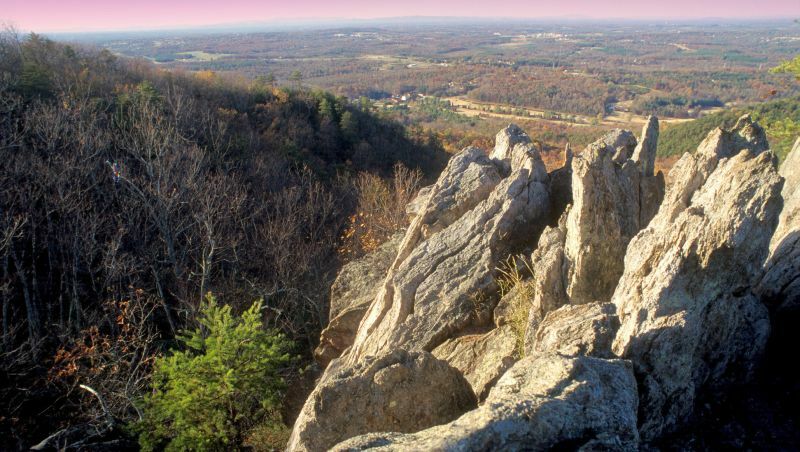 The Uwharries are the shortest of North Carolina’s mountains – the highest peak is just 950 feet – and the oldest in North America. And because no major highways have been cut through them, much of their original rolling landscape remains. 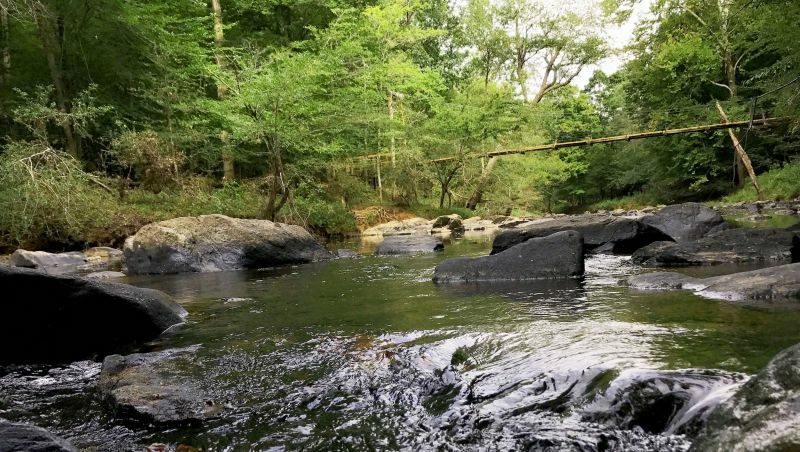 Denson’s Creek Nature Trail in the Uwharrie National Forest has 17 designated stops keyed to an interpretive brochure available at the ranger station, about 2 miles east of Troy. To get the fullest sense of the area’s ecology, however, add the Pee Dee National Wildlife Refuge to your visit. The headquarters for the refuge is located on U.S. 52, 2 miles south of Ansonville. Wildlife Drive is a 2.2-mile vehicle or hiking trail that begins at the refuge office. You’ll find interpretive signs located along the route. 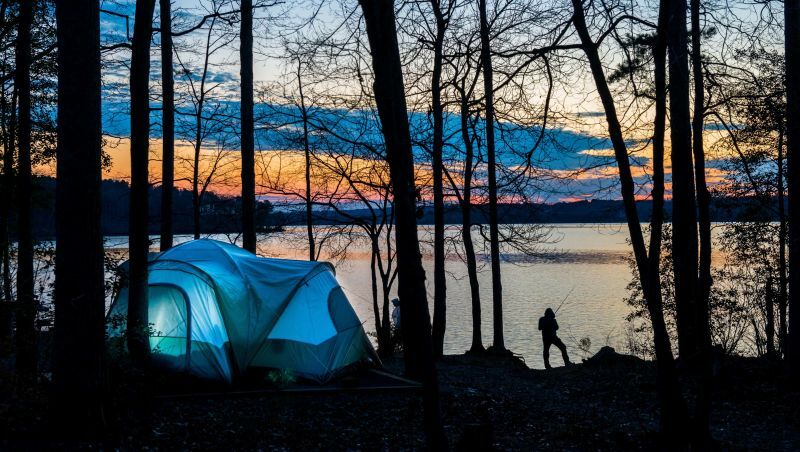 Eno River State Park encompasses 2,304 acres in Durham and Orange counties and protects an 11-mile portion of the Eno River, which is popular with canoeists. More than 24 miles of signed trails follow the river and climb Cox Mountain through hardwood forests. The Bobbitt Hole Trail will take you to spots along the river. All trails are signed and blazed. At nearby Occoneechee Mountain State Natural Area, which is administered by the state park, several more trails are available, including one that will take you to highest point in Orange County. A short drive northwest of Winston-Salem, Pilot Mountain State Park is home to Big Pinnacle, an ancient rock outcropping that towers 1,400 feet above the valley floor. 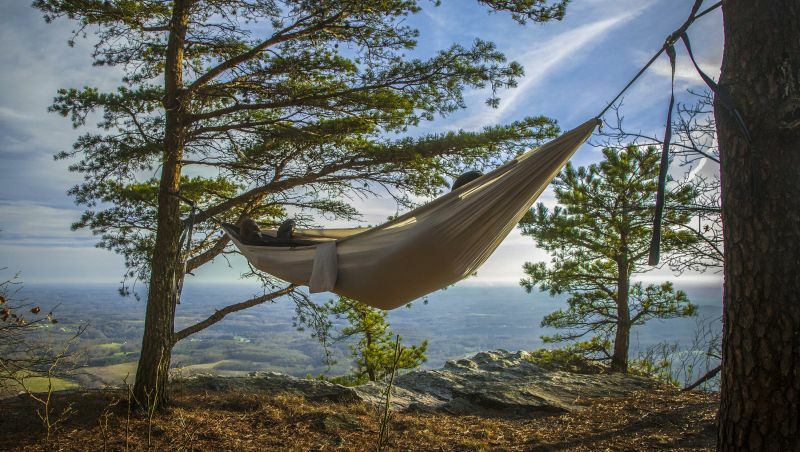 From the top of Little Pinnacle, you’ll have a panoramic view of the Piedmont. The park has 13 trails, from easy to strenuous. Some offer views of the Yadkin River and access to Horne Creek Farm, a state historic site that gives visitors a look at life in 1900. Equestrians are welcome, but you’ll need to bring your own ride. Horse rentals are not available at the park. You have your choice of 11 miles of foot trails through hardwood forests at Piedmont Environmental Center, located on the shore of High Point City Lake. The trails are well marked and maintained. Restrooms and trail maps are available at the center’s main building. There you can sign up for one of the center’s Discovery Hikes, which offer a chance to learn more about the area’s plants and animals.